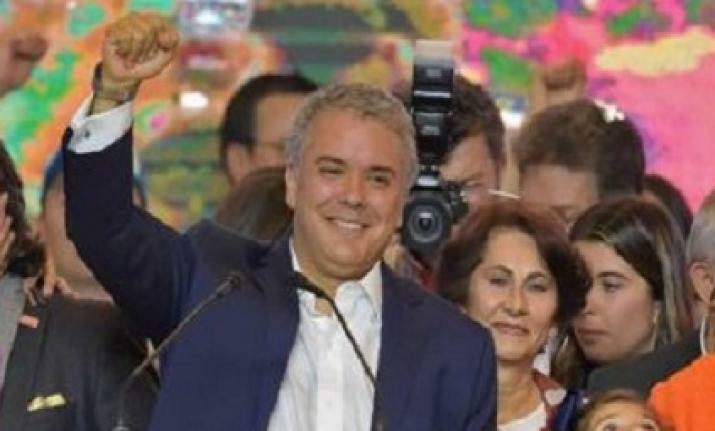 Ivan Duque, sworn in as Colombian president, who at 42 is the youngest Colombian President ever, was elected in June after a divisive election campaign. He also vowed to change the peace deal with the Revolutionary Armed Forces of Colombia (Farc) rebel group. Bogota: Ivan Duque sworn in as the Colombian president in a ceremony held in the Plaza de Bolivar, Bogota on Wednesday. After taking his oath, Duque, who succeeds two-term President Juan Manuel Santos, administered the oath of office to his Vice President, Marta Lucia Ramirez, the first woman in Colombia's history to take that office. "I want to govern Colombia with unbreakable values and principles, overcoming with popular dialogue, the divisions of the left and the right and the prickly feelings that invite social fracture. I want to govern Colombia with a spirit to build, never to destroy," President Duque said. His political platform is considered business-friendly after he pledged to cut taxes and boost investment in Colombia's economy. The allegation was described as "baseless" by Bogota.